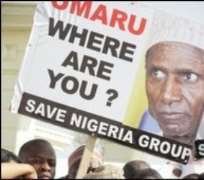 Nigeria's parliament has voted to send a delegation to Saudi Arabia to check on President Umaru Yar'Adua's health. The president has been in a Jeddah hospital since November, being treated for a heart condition. Earlier, in his first public remarks in 50 days, he told the BBC he was recovering and hoped to be able to return to Nigeria to resume his duties. His long absence and speculation over his health have led to calls for him to hand over power to his vice-president. In its first session since the Christmas and New Year break, the national assembly passed resolutions requesting greater disclosure of the president's condition and to send a delegation to visit him in hospital to discuss "issues of national importance", AFP news agency said. No date has been set for the visit. The resolution was passed after a group of opposition leaders and other prominent Nigerians led several hundred people in a rally outside the national assembly to call for the president to delegate executive power to his deputy. The official silence over the president's health has fuelled rumours that he was critically ill - or even dead - and unable to return to power. Doctors said in December that Mr Yar'Adua, 58, was suffering from acute pericarditis, an inflammation of the sac surrounding the heart. He is also known to have kidney problems. The fact that he did not designate that his vice-president should take over in his absence has led to fears of a power vacuum and a potential constitutional crisis, a little more than 10 years after the country returned from military to civilian rule. Hundreds of protesters have marched through the streets of the capital Abuja to the national assembly to push for an end to the political limbo. Nobel laureate Wole Soyinka addressed the rally, saying the president's continued absence - and the lack of an appointed replacement - was allowing corruption to flourish unchecked and important government business to languish. "There is a small cabal which profits by the hiatus in control, in government, in supervision," he said. Lawyers have said the president is constitutionally obliged to officially hand over power to the vice-president if he is incapacitated. Nigeria's split between the mainly-Muslim north and the mainly-Christian south has complicated this, analysts say. Northern power brokers may be reluctant to see Mr Yar'Adua, a northerner, hand over power to Vice-President Goodluck Jonathan, from the south, before the next scheduled presidential elections in 2011. Since the return to civilian rule, power has usually rotated between the regions. The National Bar Association and two other groups have launched court cases calling for power to be transferred to Mr Jonathan. Earlier, speaking to the BBC in a three-minute telephone interview, Mr Yar'Adua said he was making a good recovery. "At the moment I am undergoing treatment, and I'm getting better from the treatment. I hope that very soon there will be tremendous progress, which will allow me to get back home," he told Mansur Liman from the BBC Hausa service, speaking in both Hausa and English. BBC Hausa has a large audience in northern Nigeria, where it is the main language. He said he was in constant contact with the vice-president, but gave no indication of when he might return to Nigeria. The interview was recorded late on Monday and first broadcast at 0530 GMT on Tuesday. The BBC's Will Ross, in Abuja, said the president's voice sounded weak. The interview has been rebroadcast widely on Nigerian TV and radio. Many Nigerians will have been relieved to hear the president's voice, says our correspondent. But some Nigerians remain unconvinced the voice was President Yar'Adua's. One man at the Abuja protest told the BBC he wanted to see visual evidence of the president's recovery. "We want a telecast, a live telecast seeing our president on the sick bed."